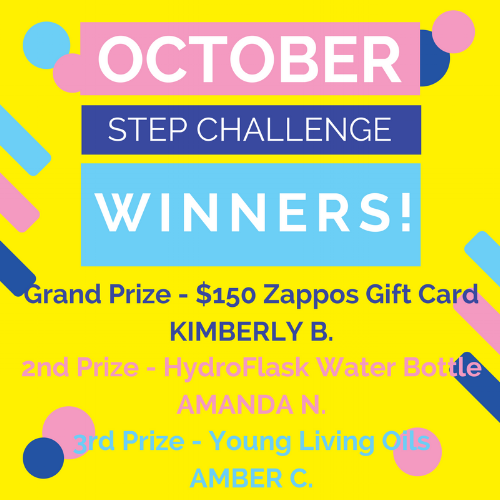 Congratulations to ALL of the ladies who participated in October's 10k's for 10 days step challenge. I am SO proud of your accomplishments. I hope you'll continue to log your 10k steps daily and look forward to another fun challenge in 2018!